This panel discussion will steer clear of the oft-discussed voting machine issues and will instead focus on how technology in general might improve the process of voting. For instance, there has been progress made in some areas but can we do better? What if there were no barriers? What do voters expect – and how can the technological advances that surround us in our daily lives merge into improving the overall voting experience? We’ll also explore how the media views this topic – and what can be done in the short term versus the long term. It’s exciting to move off of the “constraint” discussion and have a broader dialogue. The already sold-out event will take place on the UCLA Campus but will also be streamed live on the CACEO website at http://caceo58.org. You can also join the conversation on Twitter at the hashtag #CACEOimagine. 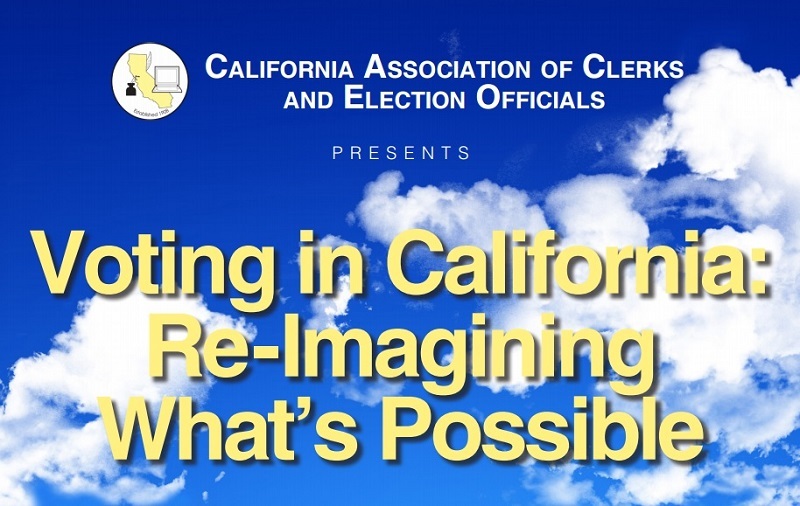 Given how technology is affecting all aspects of elections, this is a very timely topic and it should be a fascinating discussion – thanks to Neal Kelley and the folks at CACEO for organizing the event and for sharing with the rest of us online! Be the first to comment on "CACEO to Host Event “Re-Imagining” Role of Technology on the Voting Experience"